The COMYAN Media System is much more than a Digital Asset Management (DAM) System. 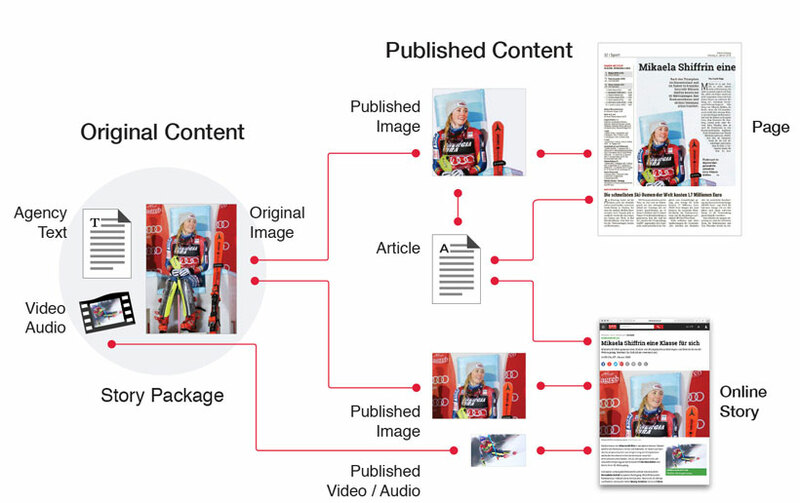 It automatically transforms editorial content and such integrates all your existing and future production systems for print and digital into a single content infrastructure. COMYAN has already processed and imported the native formats of 17 different vendors successfully. This is not only more than anybody else, but it also shows how much experience we gathered over 25 years (!) and how much we invested into the Content Engine. Whether agency texts (from 30+ different agencies), images, graphics, articles, pages or audio and video: COMYAN imports, stores, manages, searches, displays and processes all of them. All assets can be linked together. 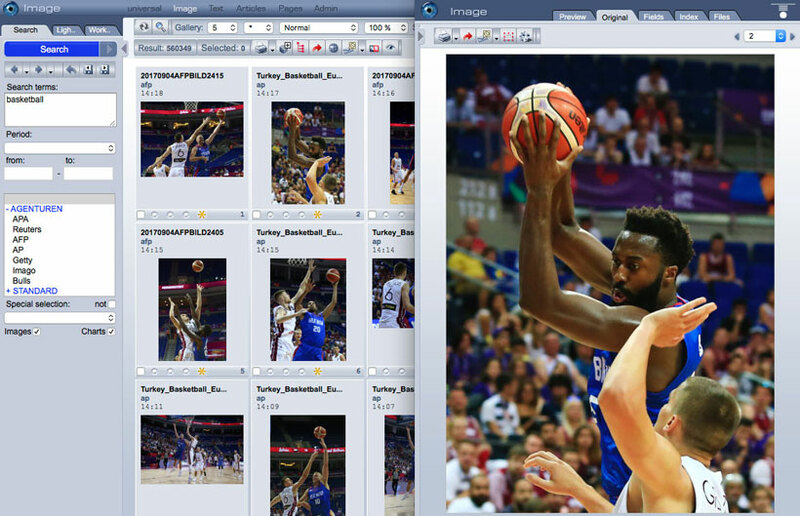 This is used extensively by our import processors to automatically connect original images, published images, published articles, pages, and even web articles. So you will be able to follow the trace of an asset with a few clicks in its usage history. All content is available within the same powerful Web user interface (for your human users) with advanced search and browsing capabilities while, at the same time, is so easy to use that it typically doesn't need any explanations. You can find all assets within a single search - like Google - or you can do fine-grain power searches for specific media types. Nowadays not only humans need to access an asset management system. Also your other production systems and even your readers will want to search and retrieve content from your archives. 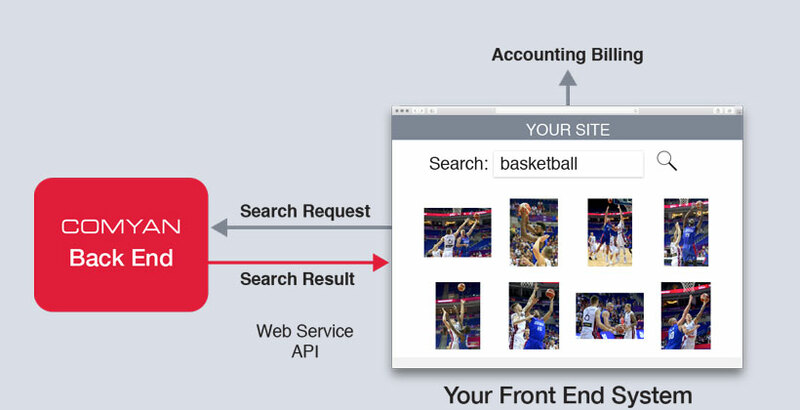 For them, we created a powerful, well-documented RESTful Web API with some great sample code to start with. Our architecture is highly scalable, while at the same time based on industry-leading, proven database systems. It relies on three pillars: The SQL database (Microsoft SQL Server, stores all meta data), the Search Engine (that makes searches really fast), and an arbitrary large file system for storing the BLOBs. By integrating analytics into our COMYAN Media System (starting with the E-Paper), we are able to add analytics data (like clicks on an article) to the asset management system - even in real time. So you can quickly make searches like "show me the most-read articles about Angela Merkel in the last month" in the same system and UI.